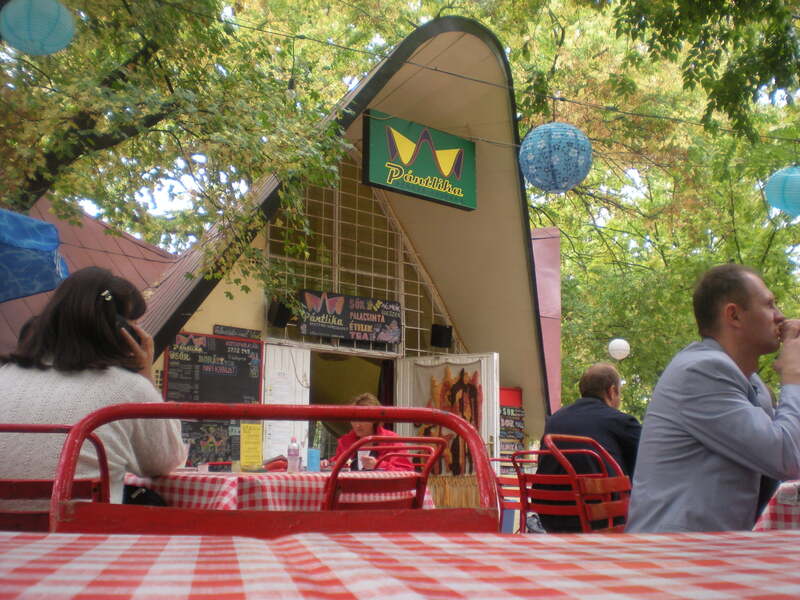 Because we were already in City Park at the zoo, we decided to walk over to Pántlika, which is a little retro restaurant/beer garden, and a throwback to the socialist era. In the 70s, it was an information building handing out socialist propaganda information, and from the air, it is designed to look like the red star. But it’s still more retro-style than good-old-days-propaganda. They play fantastic music and have a very hip inside. Even their website is cool. Even though it’s technically in City Park and close to the Szechenyi Baths, zoo, Hero’s Square, museums, etc., it’s not something that your average tourist would just stumble upon because it’s a little further out of the way. But it is definitely worth going to, even if it seems like a locals-only joint. They speak English, the decor is totally retro-fab and the food (at least what we had) was very good. And because it’s set in the woods, a fall outing is the perfect time to go. 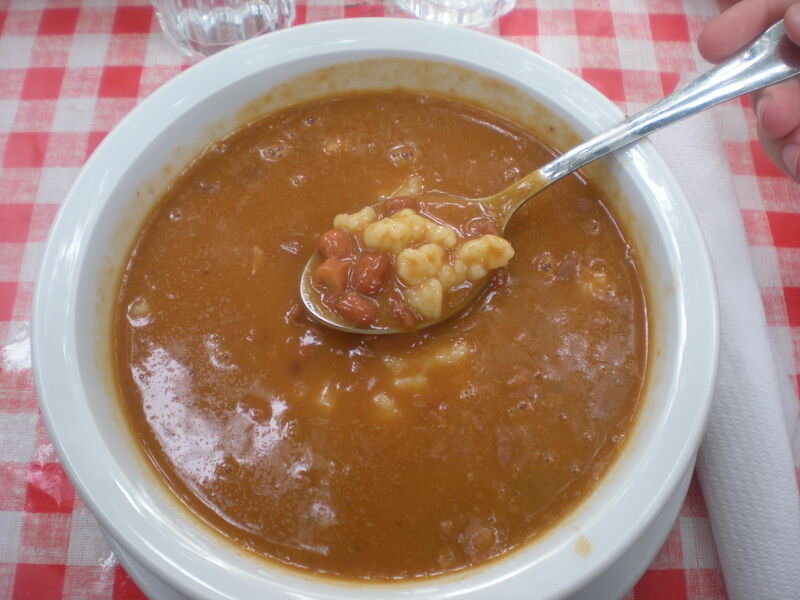 They claim to have the best bean soup in the city, so that is what I ordered, and it was excellent. There is an option to add meat, so I might try that next time, but as far as bean soups go, this is the best I’ve had. And how can anything suffer from the addition of little dumplings?! Györgyi was going to also get soup. Then she saw the neighbor table order the sausage and potatoes, and so her little Hungarian heart guided her to her choice. 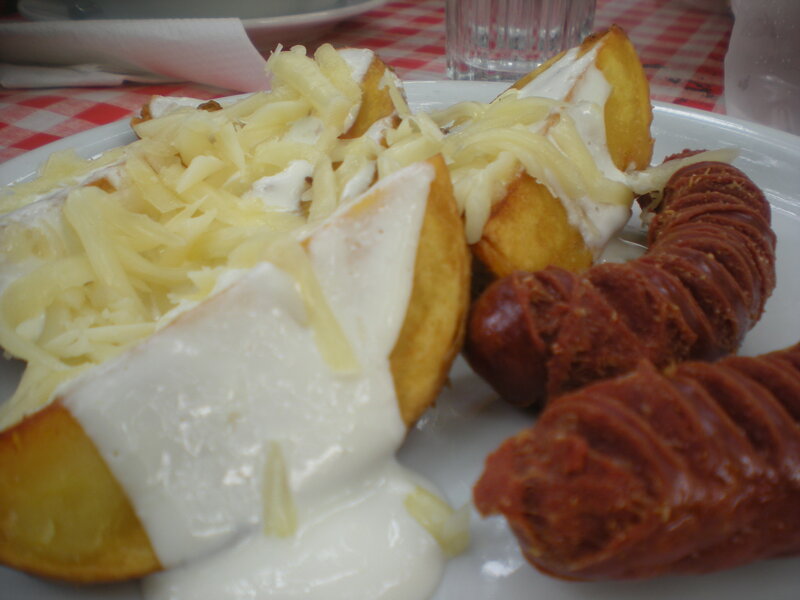 Debreceni sausages, potatoes with sour cream and cheese. Pretty much the most Hungarian lunch you can have, and she said it was also excellent. 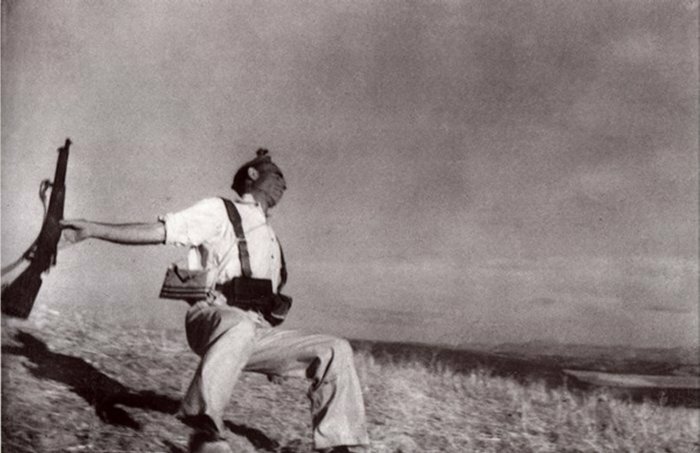 Robert Capa was arguably one of the best war photographers of the 20th century. He was born in Budapest in 1913 as Endre Ernő Friedmann. 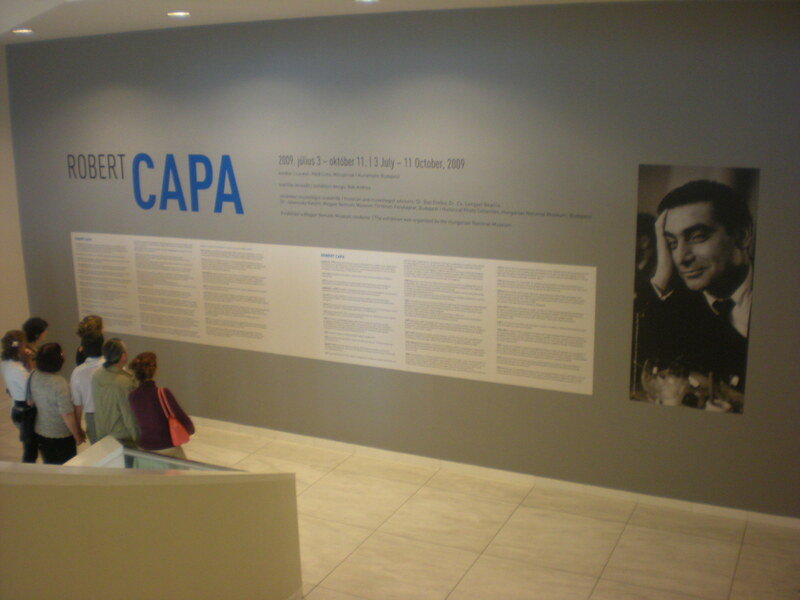 After being arrested in 1932 in Budapest for being an anti-government protester, he eventually moved to Paris where he adopted the American-sounding Robert Capa name (in Hungarian, cápa means shark). He was with the first soldiers who stormed the beaches of Normandy on D-Day, and heroically captured it on film (along with 5 other wars). The exhibit was fascinating and silencing. 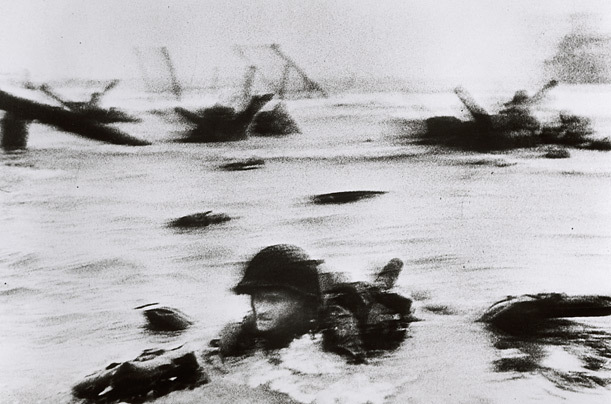 Especially the prints of the “blurry” D-Day photographs. I didn’t know it, but the reason why the photographs are blurry (like the one on the left, which was the cover of Life Magazine), was because in the haste to get the photographs developed and printed, the fifteen-year-old lab assistant, Dennis Banks, accidentally overfixed the negatives. 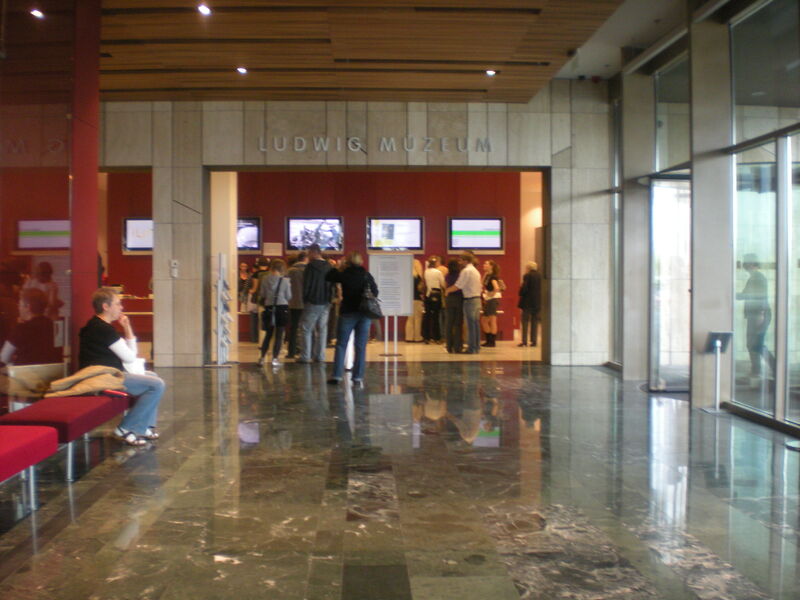 The exhibit at the Ludwig was lovely, despite there being just about every other person in Budapest there on the same afternoon. From Life Magazine covers, to hand-written letters, to the photographs themselves (including his last photograph before stepping on the landmine that killed him), I really have to congratulate the museum on the exhibit.